My son and I have just finished the fourth Chronicle of Narnia, The Silver Chair. Though it is perhaps the least layered book, with fewer mythic symbols woven into the fabric of the storyline, it is probably my favourite book for its subtle humour, which I’ve written about in “Peals of Laughter.” One of Lewis’ most brilliant characters, the mournful marshwiggle, Puddleglum, brings such joyous light to the story with his gloomy optimism and solid courage in the face of certain failure. We laughed more reading this book than any of the others, despite the fact that much of the book is spent in hopeless peril, endless darkness, and the life-draining enchantment of a powerful sorceress. Except for a beautifully crafted hint at Lewis’ view of heaven in the last chapter, The Silver Chair seems less theistic in its storyline. It isn’t, however, lacking in Lewis’ social critique. 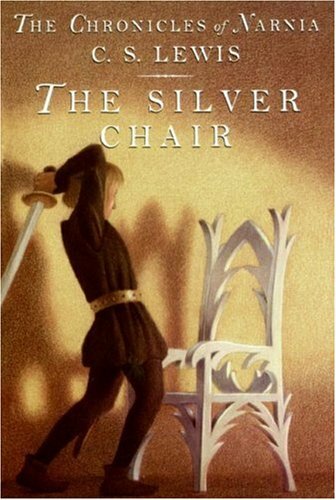 I’ve already written about how The Silver Chair integrates some of Lewis’ views of bullying. Lewis always felt that bullying was supported by lazy, stupid or maniacal administrators, who either winked at childhood terrorism or even set up the hierarchies of control themselves. Because of his childhood experience of that system, he would spend his life hinting about the great evil of administrators of all stripes. But there is harm–at least that’s what Lewis thought. What is also telling is that Lewis shares this anecdote as part of his explanation of the judgement psalms, demonstrating why God may come in wrath to defend the oppressed. Clerks were not highly esteemed in Lewis’ view. We see a similar swipe at middle management in the way The Silver Chair ends. I will avoid giving much context–I know it is 60 years old, but I don’t want to spoil the ending. The setting is Experiment House, this horrific progressive school that is structurally dehumanizing and useless in curriculum. Its modern ideas have brought about a kind of grand labyrinth of manipulation, where quick fists and mental terrorism are greater features than scholastic achievement and self-discovery. I will say that the protagonists, our Jill Pole, who begins the book crying behind the gym, and the regenerated Eustace Scrubb, finally put an end to the systematic bullying at their school. As is common when victims finally stand up for themselves, the Head (Headmaster, or Principal) and the police are called. Why is Lewis so hard on clerks, bureaucrats, government workers, and, apparently, parliamentarians? While Lewis does a good job predicting the ridiculousness of the Peter Principle, the foundation of his critique has to do with greatness. He believed that only great men and women faced great temptation, while the rest of us exist in a kind of base evil. We see this in chapter 11 of book 3 of Mere Christianity, but the principle is found all throughout The Screwtape Letters. The high road of demonic temptation is not about creating Hitlers and Stalins–any average office worker seriously tempted to commit genocide is likely to get some kind of help long before they run for office. No, the best way to create evil in a person’s life is through the slow, steady, almost imperceptible descent to hell through banal temptations like annoyance, discomfort, and apathy. I think this is why in most of the Narnian books the greatest enemies are dispatched fairly simply in the end. Certainly these are victorious moments, but there is also great victory in slaying middle management demons. How is this done? By standing up to bullies, by making hard choices to do good things, and by slaying the petty dragons that threaten to rise up within ourselves. 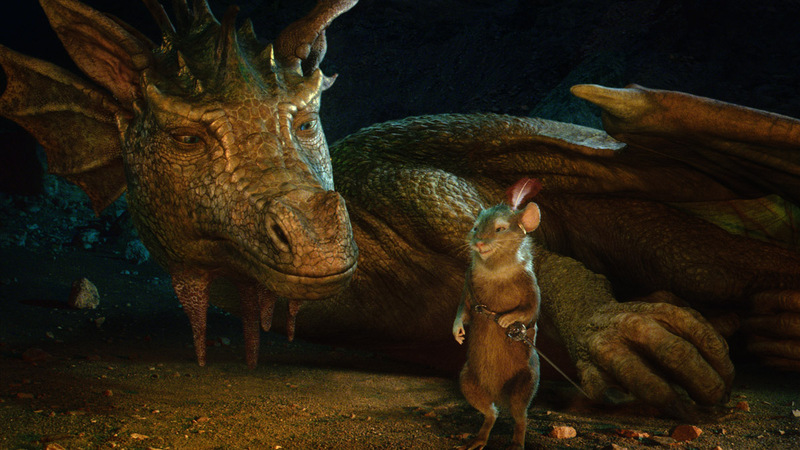 For Eustace in The Voyage of the Dawn Treader, his dragonish ways made him into a real dragon. For most of us, who typically live in the middle management worlds of clerks and office workers and teachers, the damage we do is sometimes harder to identify. But if we learn from the children of Narnia–and become pilgrims there ourselves–we will find the transformation that makes mere mortals into immortal heroes. Perhaps we should order this pilgrimage in triplicate. This entry was posted in Memorable Quotes, Reflections and tagged bullying, C.S. 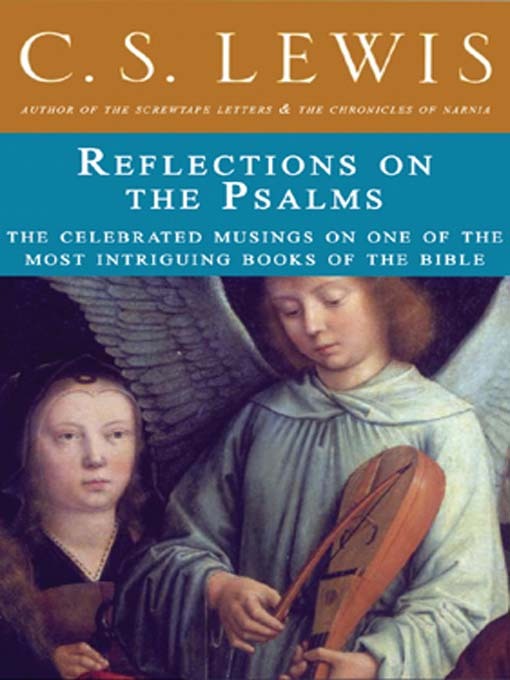 Lewis, dragon, Eustace Scrubb, evil, heaven, Jill Pole, Reflection on the Psalms, The Screwtape Letters, The Silver Chair, Voyage of the Dawn Treader. Bookmark the permalink. This is probably one of my favorite blogs you’ve written sir! As a retail worker, I wholly identify with Lewis on the evils of middle management. May we stay true to the pilgrimage! Thanks Jeremy! I was writing this and thinking of my years with an apron (6 years pizza, 4 years car detailing). Glad you liked it! Hello, Brenton. I am wondering if I can get from you information regarding the Screwtape Letters painting by Isabella Wojcik. I am interested in using the image on my website and would like to ask permission. Thanks! 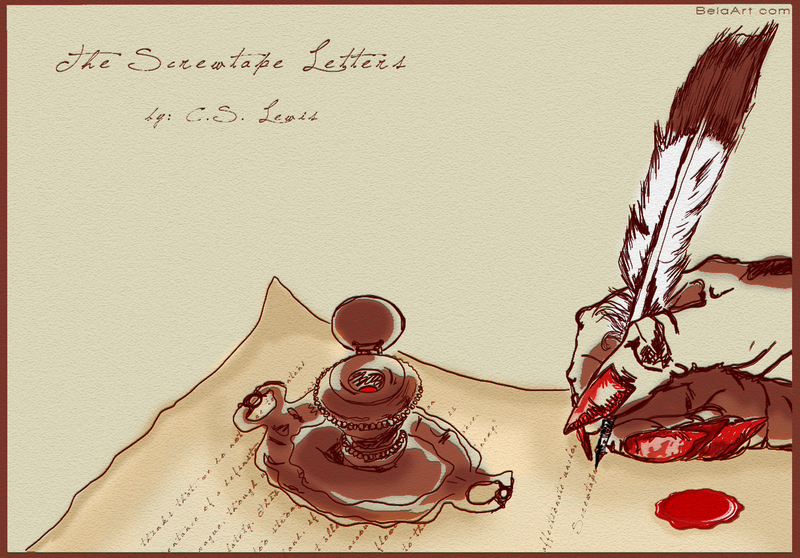 I had to dig, but here is the artist’s original site: http://belaartblog.blogspot.ca/2011/03/screwtape-letters.html. I don’t always, but I did really get permission on this one. I try to with artists.